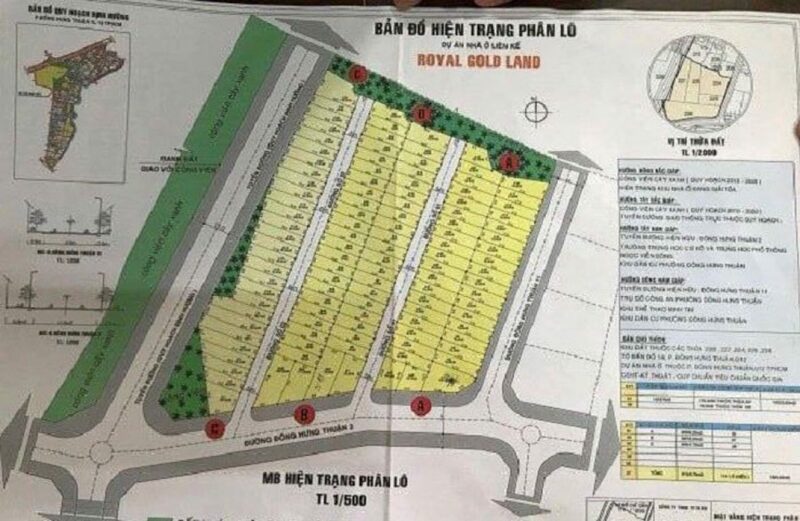 People’s Committee of District 12, HCM has released information warned consumers and investors about Royal Gold Land project located in the district. Particularly, People’s Committee of District 12 said that in the past time, some people have distributed leaflets and information on the Royal Gold Land housing project in Dong Hung Thuan ward. Through inspection, People’s Committee confirmed the above land area under the planning of greenery (opposite the headquarters of People’s Committee of Dong Hung Thuan Ward). The competent authority does not approve or agree to any project in this area. For the flyers, Dong Hung Thuan ward police asked for headquarters to work. Therefore, people are advised to keep the information in order to avoid being scammed by the above mentioned objects, “informed the People’s Committee of District 12. In a related move, People’s Committee of Cu Chi District (HCMC) recently reported to the People’s Committee. Ho Chi Minh City on deceptive activities of the Alibaba real estate group. Accordingly, the People’s Committee of Cu Chi District affirmed that the Alibaba real estate group claiming to be the investor, announcing the sale of the house floor, collecting the reservation of customers in the North West urban area is contrary to the law. Cu Chi reports that the location of the land that Alibaba Company staff for survey and guide customers to book in the North West urban area, part of Ben Do 1 and Ben Do 2 hamlets, Tan Phu Trung Ward, Cu Chi district. This is the existing residential area and part of the agricultural land, which is directly managed by the people. Based on the zoning plan of 1/2000 scale, the location of the above land plot belongs to the planning project of zone VIII – Tay Bac urban area approved by the People’s Committee. The area of ​​planned land is 392.55 ha. On 8 – 9/11, employees of Alibaba Real Estate Joint Stock Company came to Ben Do 1 Hamlet and Ben Do 2 Hamlet to announce the sale of the house, paying for the booking. The People’s Committee of Tan Phu Trung Commune has worked and asked the staff not to lead customers to book in the North West urban area. According to information from the Northwest Urban Area Management Board, on November 2, this unit received a proposal to implement the Alibaba project in the North West urban area. However, the proposed project was not approved by HCMC People’s Committee. Accordingly, the Management Board confirmed that Alibaba Real Estate Joint Stock Company declared itself as the investor, announced the sale of the house, the deposit of customers in the North West urban area as the contrary. This is contrary to the provisions of the current law. Previously, as VietnamFinance has informed, the authorities such as Department of Natural Resources and Environment City. HCM City, People’s Committee of Long Thanh District (Dong Nai) and HCMC Real Estate Association. HCM has issued emergency alerts to investors about fraudulent activities of the Alibaba real estate group. Prior to these warnings, the City People’s Committee. Ho Chi Minh City has asked the Department of Construction, Natural Resources and Environment, Planning and Investment, Management Board of the Northwest urban area to jointly investigate. The Ministry of Public Security has also audited the operation of the group. 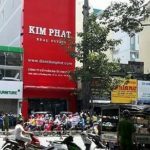 You are reading the article Ho Chi Minh City: District 12 warns of fraud on Royal Gold Land project in the Real Estate category at https://realestatevietnam.com.vn/.Any information sharing, feedback please email to info@realestatevietnam.com.vn, Hotline 0909890897 (24/7).